Ilayathalapathy Vijay fans are happy with whatever their matinee idol delivers, but at the same time, they do look up for something different and more amusing from their star. Vijay is currently busy shooting for a romantic entertainer under the direction of Atlee of ‘Raja Rani’ fame. Reportedly, 70 percent of the shooting of this flick is already done. Now with all his past four movies based on societal commercial thriller laced action and violence like Thuppakki, Thalaivaa, Kaththi and now Puli, his upcoming film Vijay 59 too is expected to be one such of this same genre. Meanwhile, we hear that there is going to be some change in his pattern of movies from 60th project just as he shifted his paradigms after Sura to Kaavalan, Nanban and then Thuppakki. As per sources, for Vijay’s next film, his 60th, there were three directors in the race. SJ Suriya is ready to make a sequel to ‘Khushi’. Director Mohan Raja, who has recently scored an acclaimed blockbuster ‘Thani Oruvan,’, is also in race. Acclaimed director Sasi Kumar is also in line. 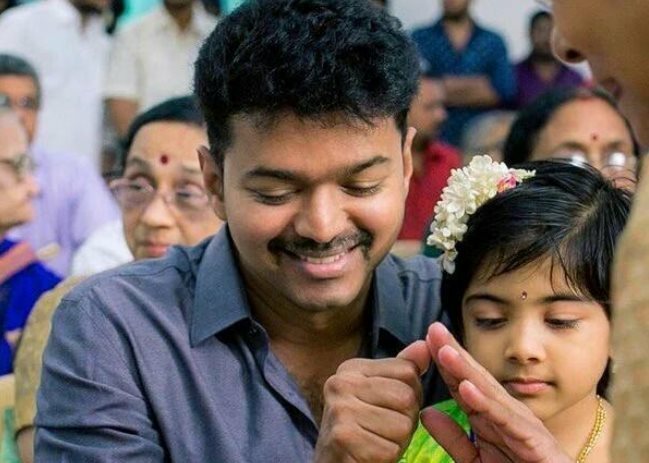 Now with SJ Suryah almost coming on board for Vijay 60, we expect a full length Rom-Com feature and in the interim, buzzes are that Vijay is planning to focus something more on romance and comedy in his next three bunch of movies like Vijay 61, Vijay 62 and Vijay 63.